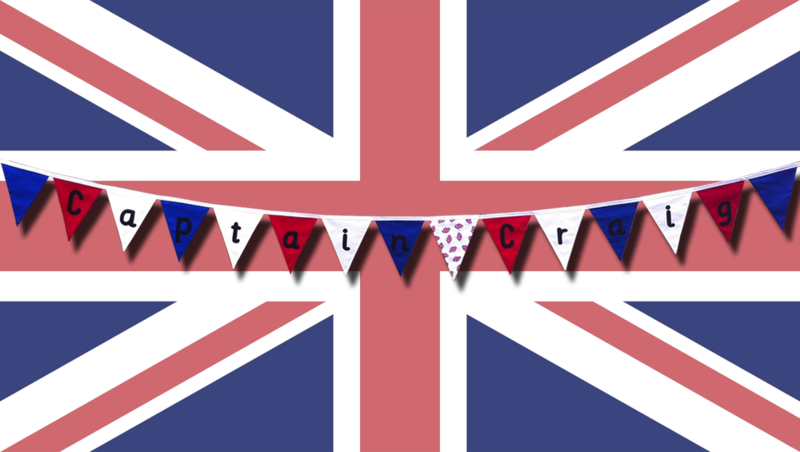 It was nothing short of a pleasure to be asked to make this banner for someone who has passed his exams to become a Captain with British Airways. His wife now has it all ready to hang up to celebrate his success. 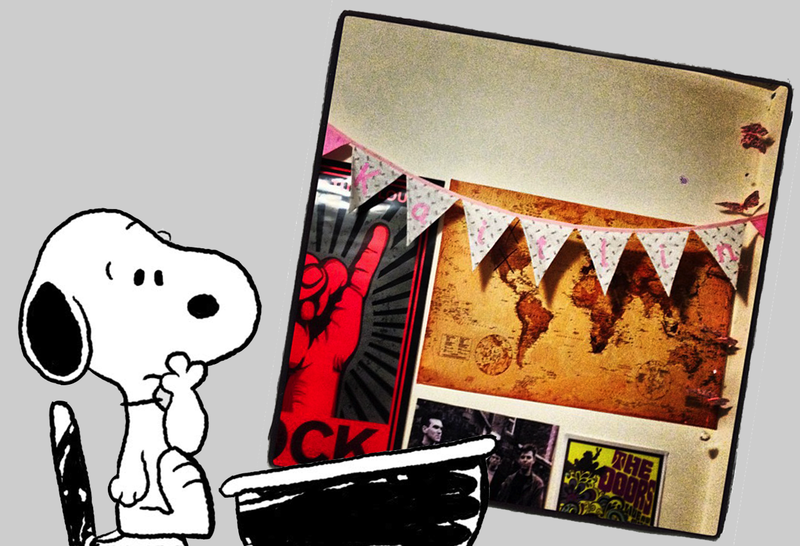 Here it is … up and ready! And then it’s final hanging place. 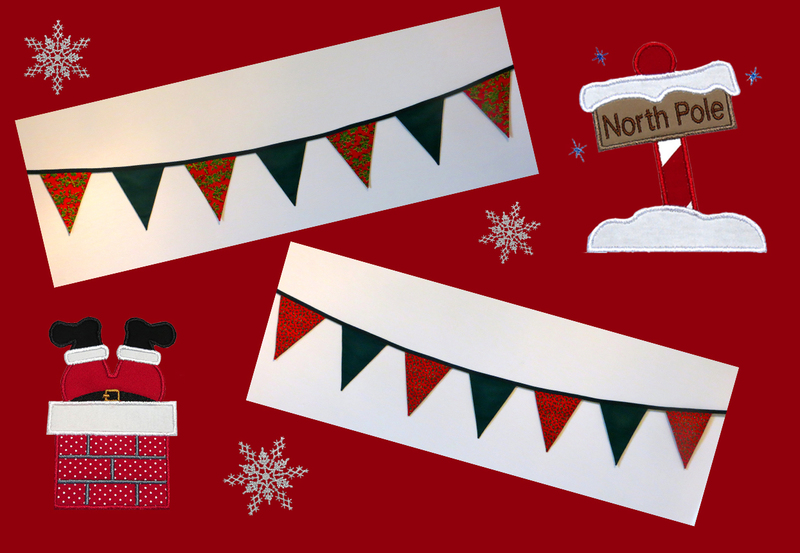 … the newest addition to my sewing family! An embroidery machine! And this is the beginning of a new venture!! My first grandchild (due at the beginning of March) will be the owner of these bibs and hooded towel. Those that know me well, will be aware that once I get going on something, there is no stopping me!! These personalised towels made ideal Christmas presents for the ‘Little People’ in my life and they were, apparently, also great to roll around with and ‘wear’ as a cape!! Please feel free to contact me for further details if you would be interested in placing an order. And now I can add a few more new arrivals ‘modelling’ their presents. 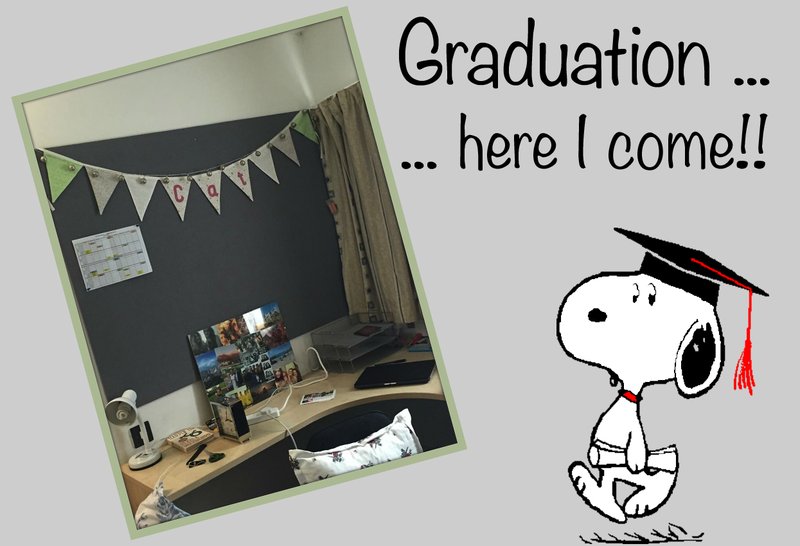 Many of you will understand what a life changing and scary event going to university can be – meeting new people and having to live / cope by yourself for the first time maybe; on top of handling all the work that comes your way. 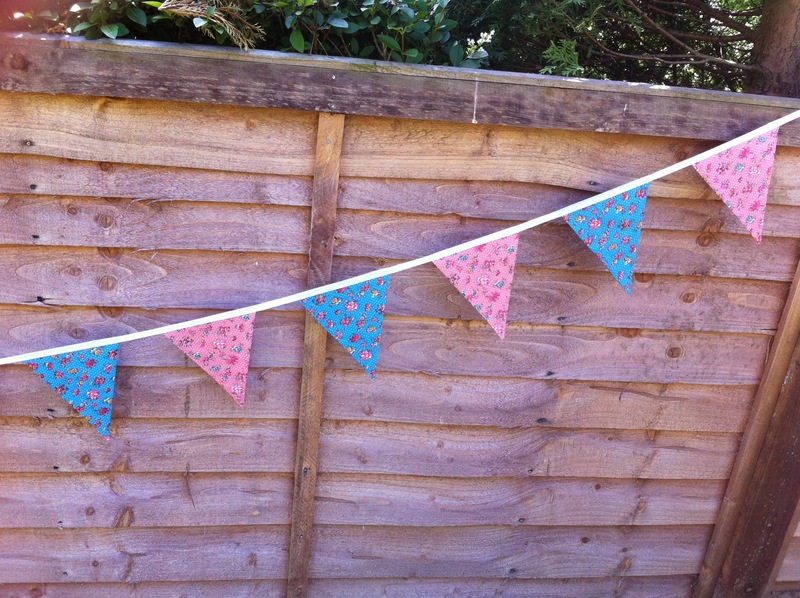 These two girls asked me to make bunting for their rooms to help them feel ‘more at home’! And the added bonus is that nobody will forget your name when they come to visit!! Second year and no longer in halls. 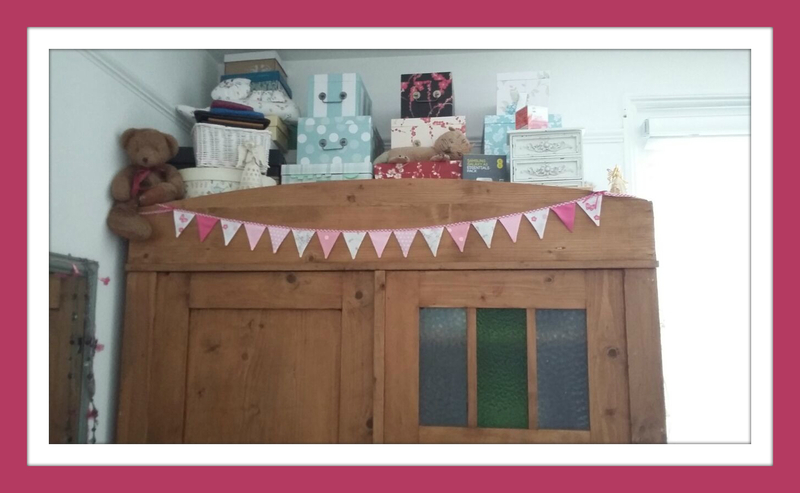 The bunting has now moved from above the desk to over the bed! 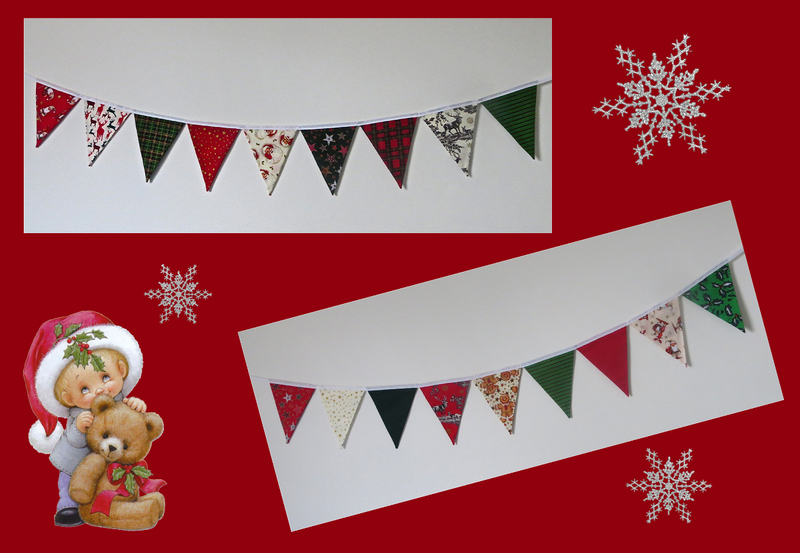 Hoping to get a full size picture of this one but I made it very early on in my ‘bunting’ days, before I started taking my own pictures prior to my customer collecting them. It was very pretty though, in delicate pinks with rosebuds under the name. 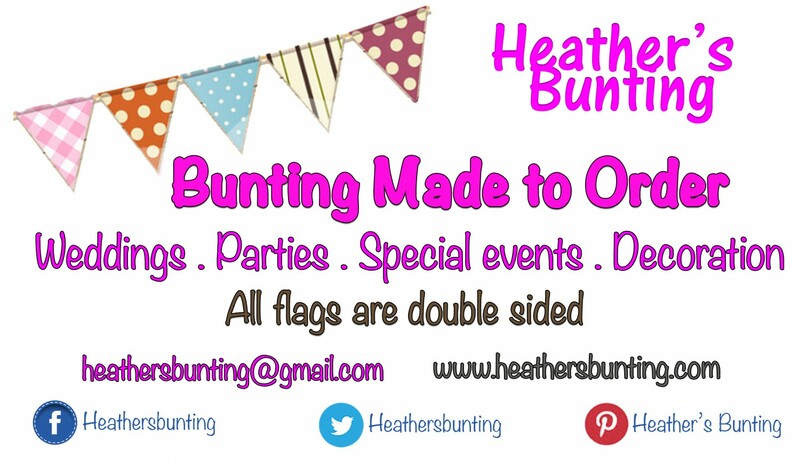 I started ‘Bunting Vouchers’ a couple of years ago when I needed a gift for a friend’s 40th birthday. 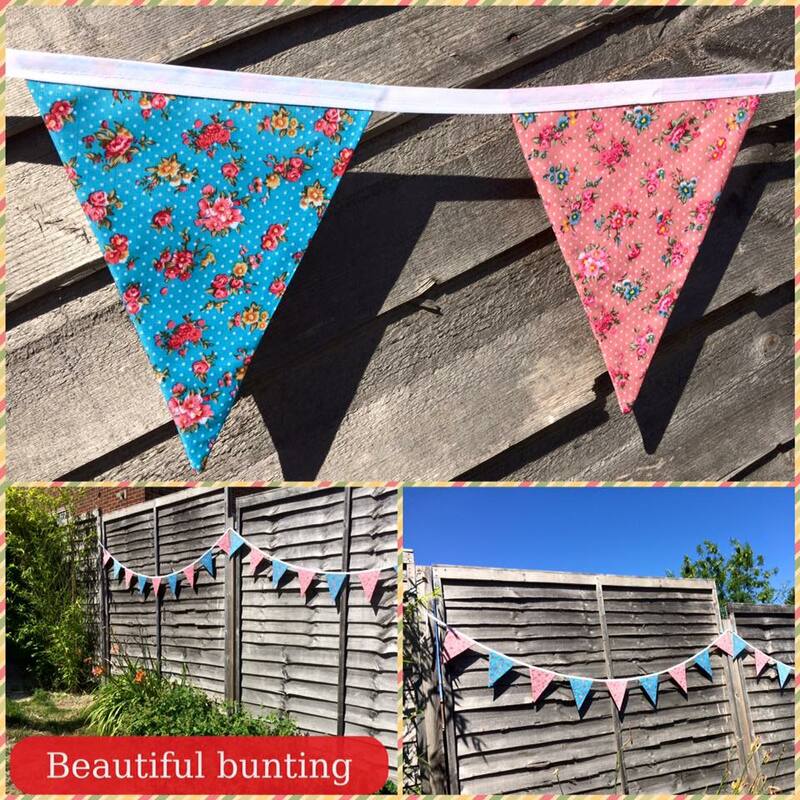 I had no idea what to buy for her but I knew that she loved bunting! I didn’t have time to make any up, nor was I really aware of her colour preferences, so I thought, why not allow her to choose at her own leisure? Hence the voucher. 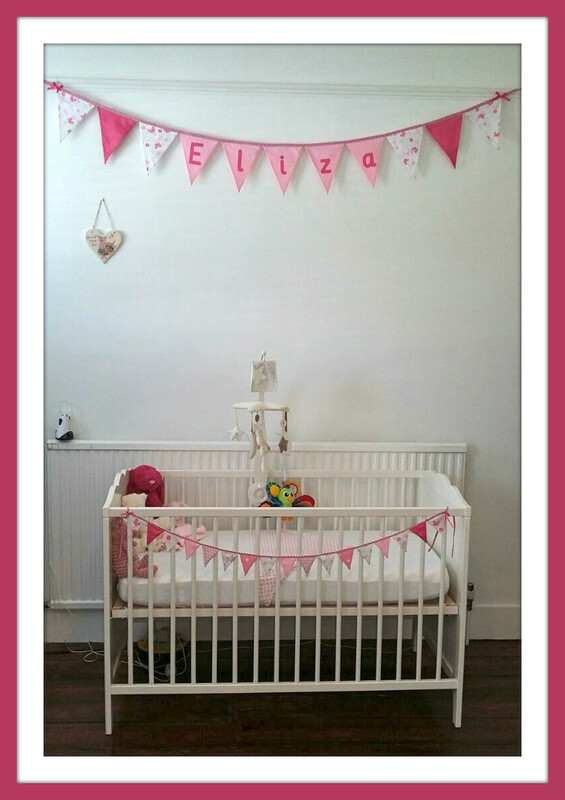 There were no time restrictions, so 18mths later, this was the result!! Please contact me for further information or see my prices page. and these two were made for young cousins. 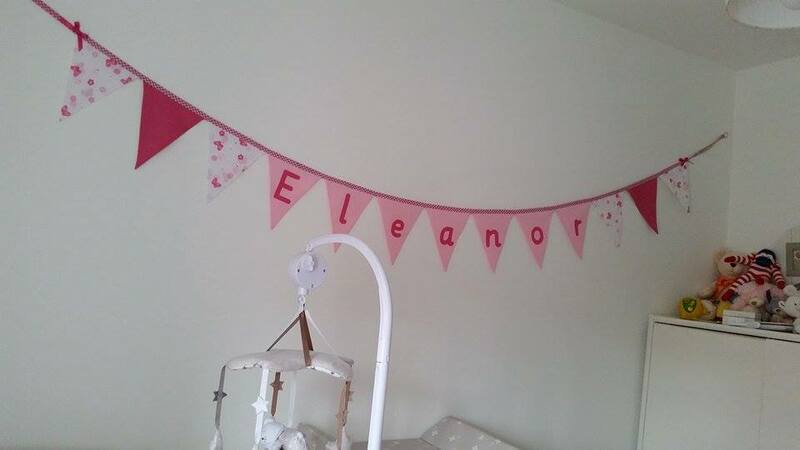 I love how everyone has different ideas of how they want to decorate their baby’s rooms, this time it was mint green and grey, and to me, this is the beauty of being able to ‘make bunting to order’. My Aunt (and Great Aunts before her), were amazing craftswomen. As a child, I loved to watch her sew. She made beautiful patchwork bedspreads – the traditional way – using cardboard templates tacked on and then removed once all sewn together – by hand! I tried, I really did to follow in her footsteps but I was never precise enough to achieve a good result. I managed to make a rectangle for my dressing table and a runner for the top of the bookcase but, if I remember correctly, I never actually managed to complete the backing on that!! I came up with this idea after watching a quilting clip on Pinterest showing how to sew a continuous line of fabric together. Having been inspired, I had to have a go! It was time-consuming and took many hours of work but, I have to say, that it was also rather therapeutic and watching the fabric grow, appealed to me! It also gave me a great opportunity to get to grips with my new Serger machine, producing a much tidier version than I’d previously done. 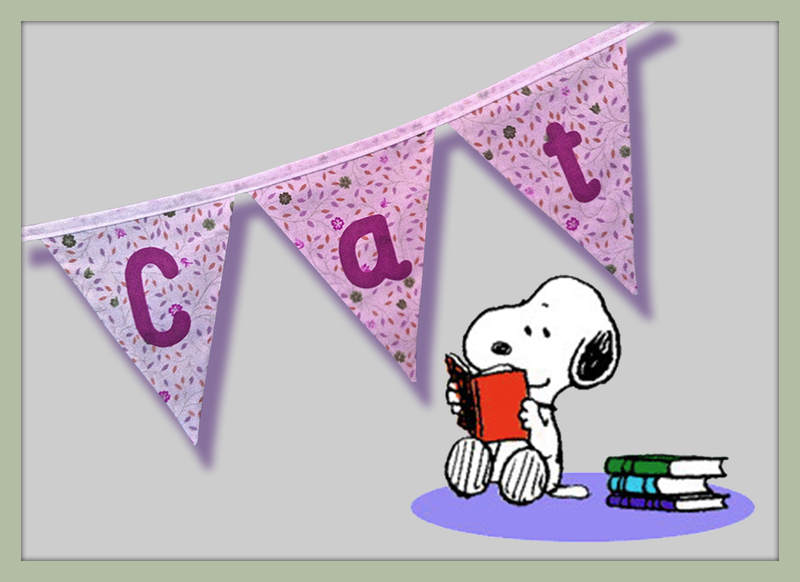 I put this 3m length together for my own use but I have more flags made up if anyone was interested in having a more random banner! Please get in touch if you do! wherever you are in the world and whatever you are doing! If you live in the UK, we all know that you have to be ready for all weathers, at any time of year! 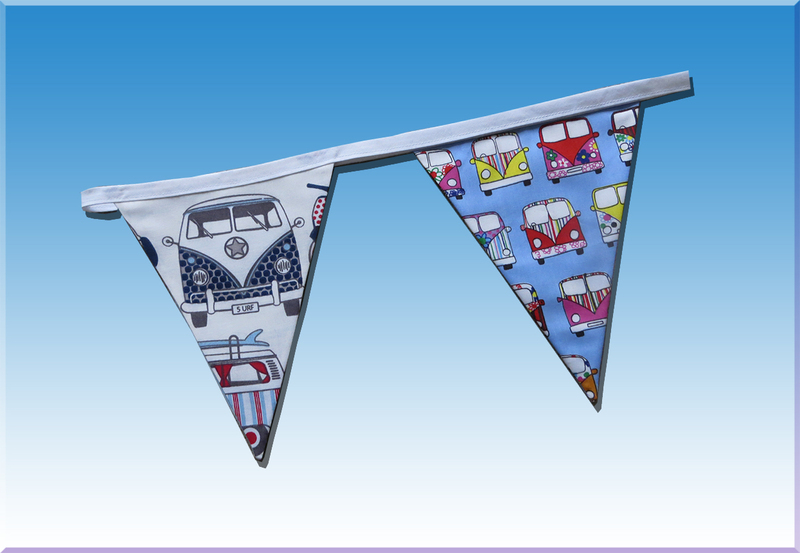 I have often been requested for ‘outdoor’ bunting but I’ve struggled with this until I discovered ‘Ripstop’ fabric! The colours tend to be quite vibrant, as it is mainly used for making kites and tents but I did find a couple of patterns that worked well, both together and with being made into flags. The only down side was having to make the bias binding again! This took some time and it sure was a ‘slippery’ customer!! Thank you to my neighbour for supplying the pictures for me! 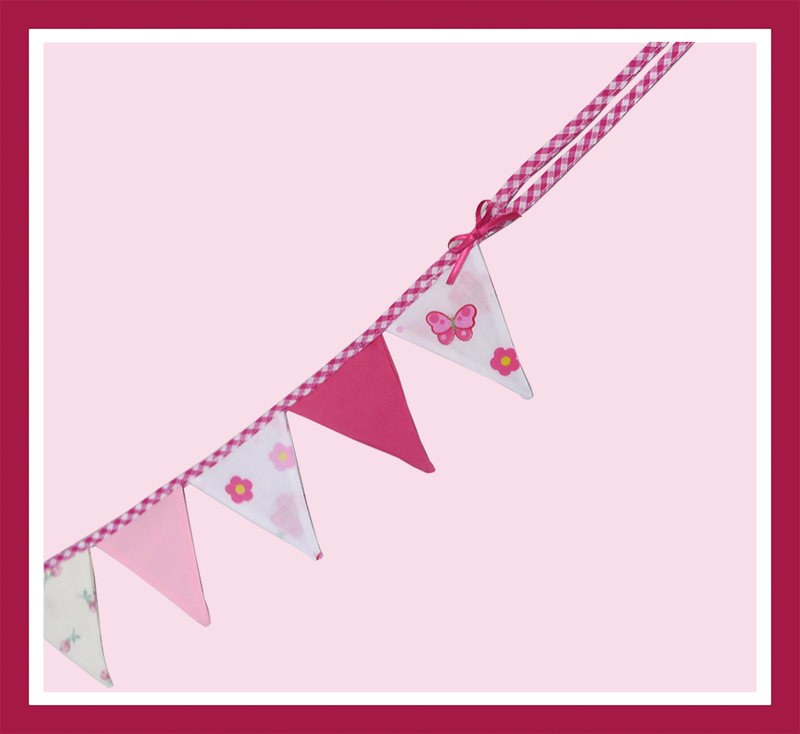 These mini-flags stand at just 7cms high and 6cms wide. 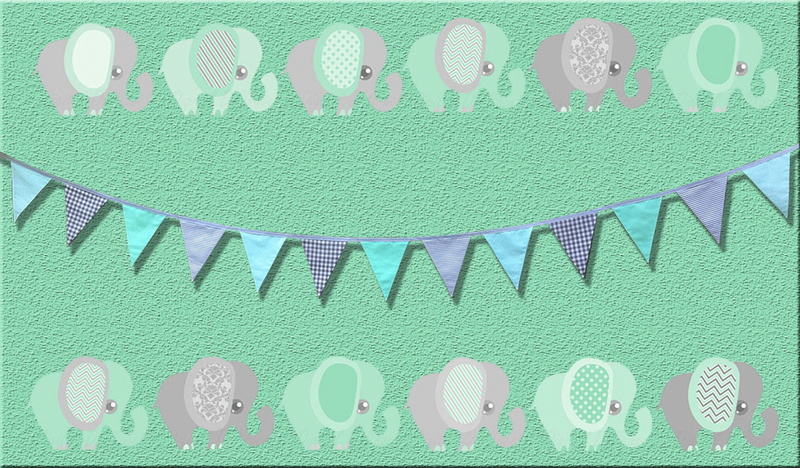 I made them for a neighbour’s new baby, custom made to hang around the cot. I also made the bias binding as there was a specific look that I wanted to achieve. I’ve never done double-end ties before but felt that it would add to both the appearance and make it easier to hang. As for the bows, I just couldn’t resist!! 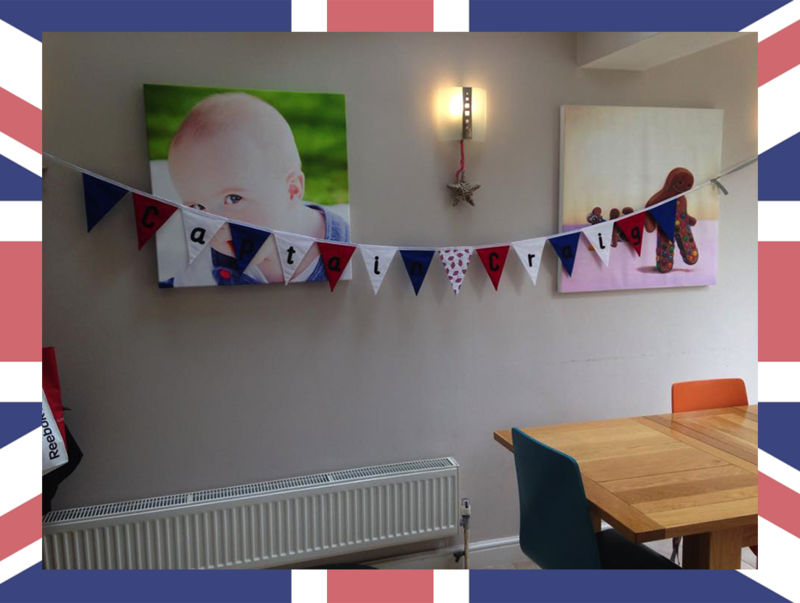 Although this looks really cute, please note that bunting is not a toy and must not be allowed to endanger baby. 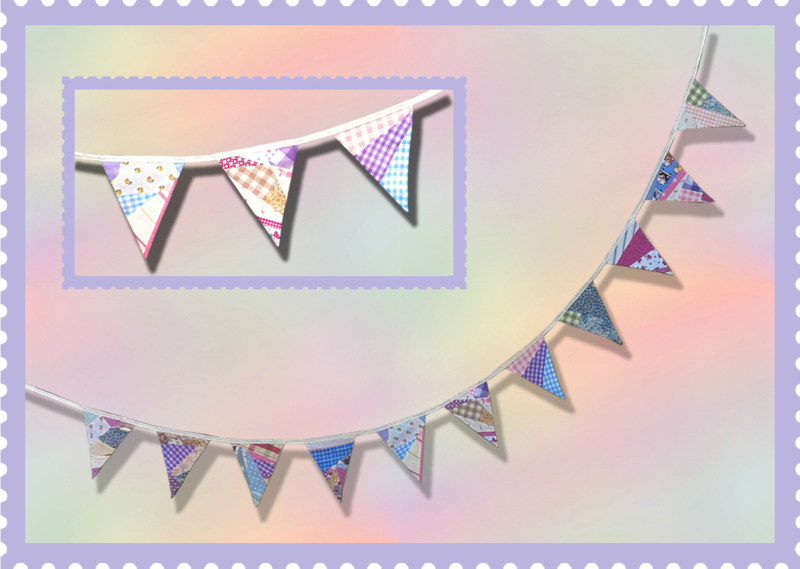 I then decided to do a full name banner to match the ‘mini’ one, and again, the finished look was exactly what I had in my mind!! 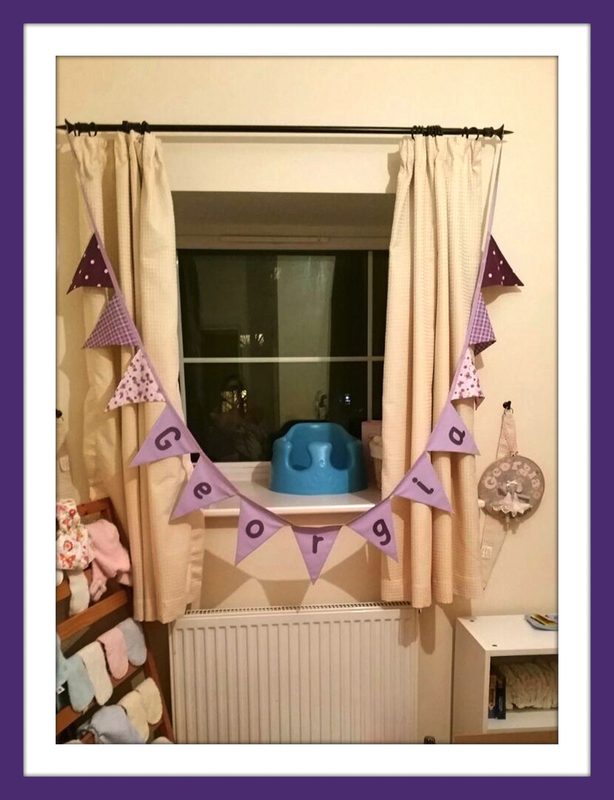 Once baby is in the cot and on the move, there will be plenty of alternatives places to hang your mini-bunting! It’s always a real boost when you receive a new order on the recommendation of others. 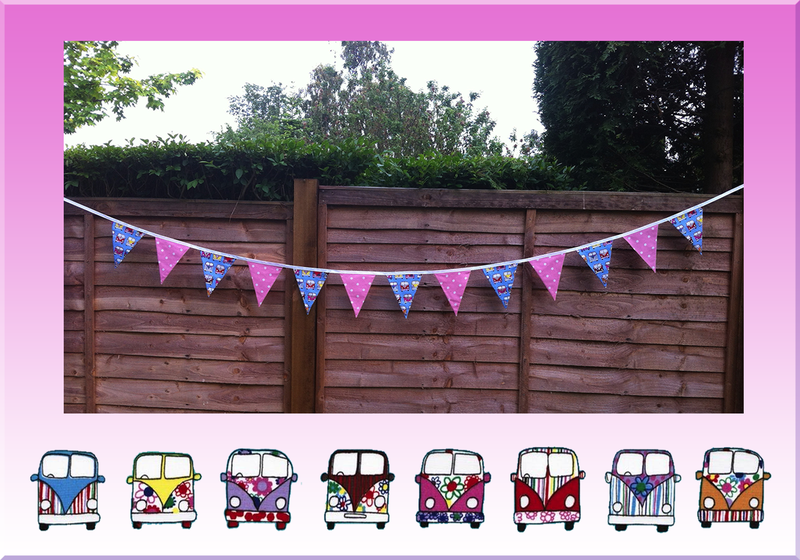 I made this one identical to the ones above, simply because my customer wanted something ‘pretty and girly’!! 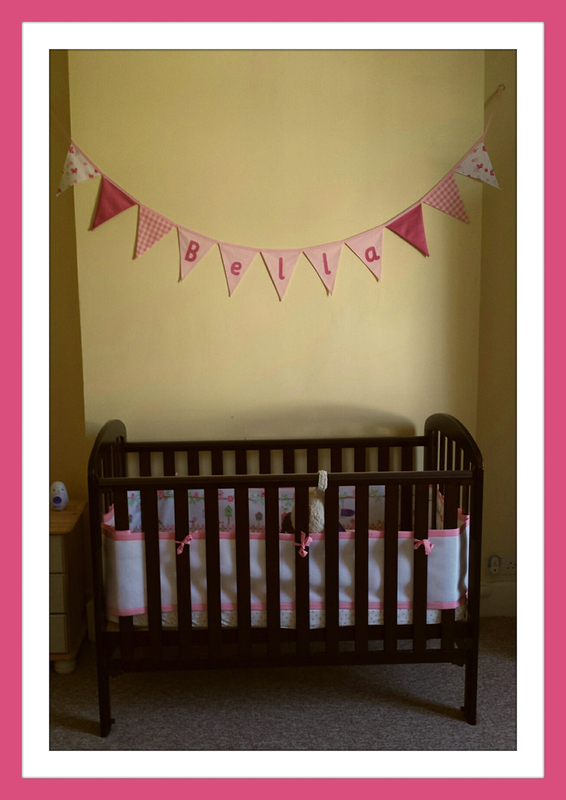 Here it is, already hanging above her cot! 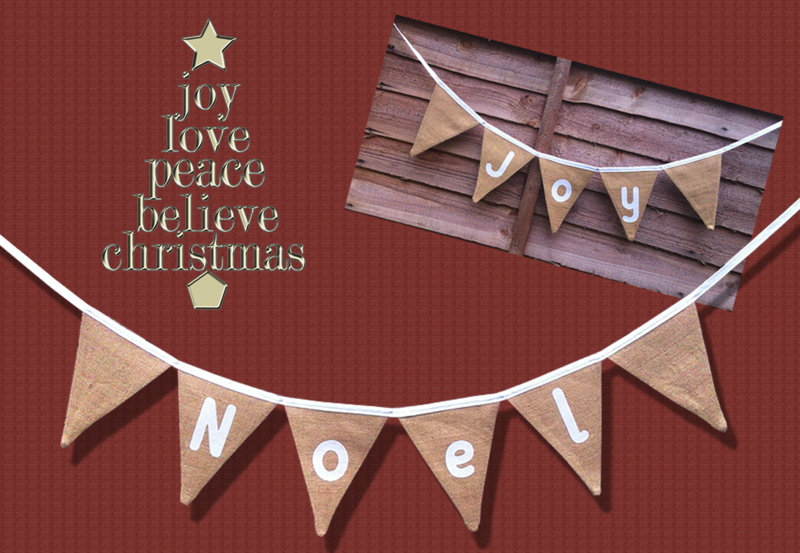 Thank you to everyone on www.facebook.com/groups/RedhillandReigateMums/ for your support. I always love the individuality of ever order that I receive. That’s why I work the way I do! 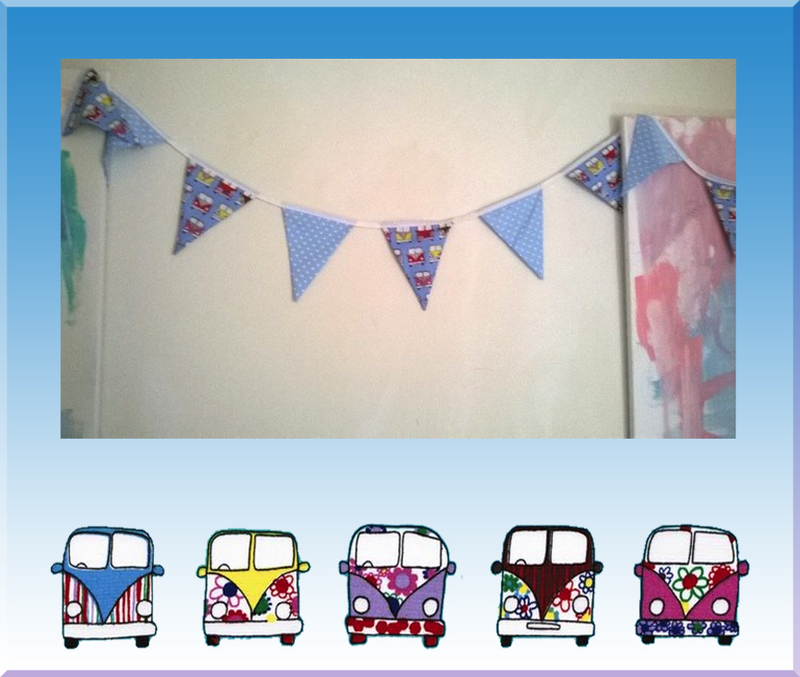 This customer wanted fabric with VW camper vans on for their children’s bedroom. I thought I was going to have a problem finding anything suitable but I was amazed at the variety of fabric out there! Apparently it is rather popular. A bit more tricky, due to the pattern needing to be one way up – placing VW’s upside down wouldn’t really work now would it? – but the result was just what my customer was looking for and that’s all I can ask for. And it’s up!! Not in its final ‘resting place’ but this is great for now!! Another picture will follow, hopefully, in the future. And that is exactly what somebody did! And here it is!! All ready for the birthday girl!! 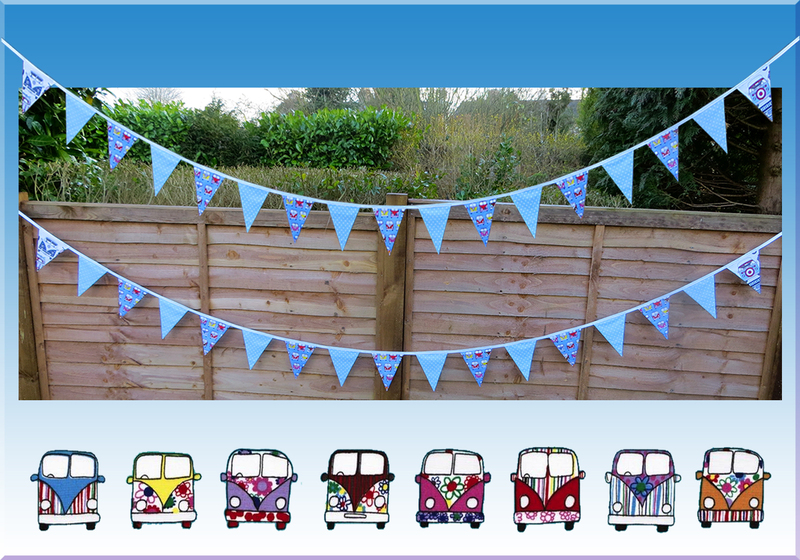 I was really pleased to receive this order for more VW bunting, as it was the first one that came following a Google search by my customer. All ready for van in the summer!